That’s how he started looking for software he could use on his phone in order to fill in the time, eventually coming across the pixel art app. With a small drawing area of only 24×24 pixels, he decided to challenge himself and see whether he could draw anything worthwhile, posting his attempts on Instagram. ‘The funniest thing was getting home at night and asking my daughters to guess who those characters were,’ Saviantoni told us. 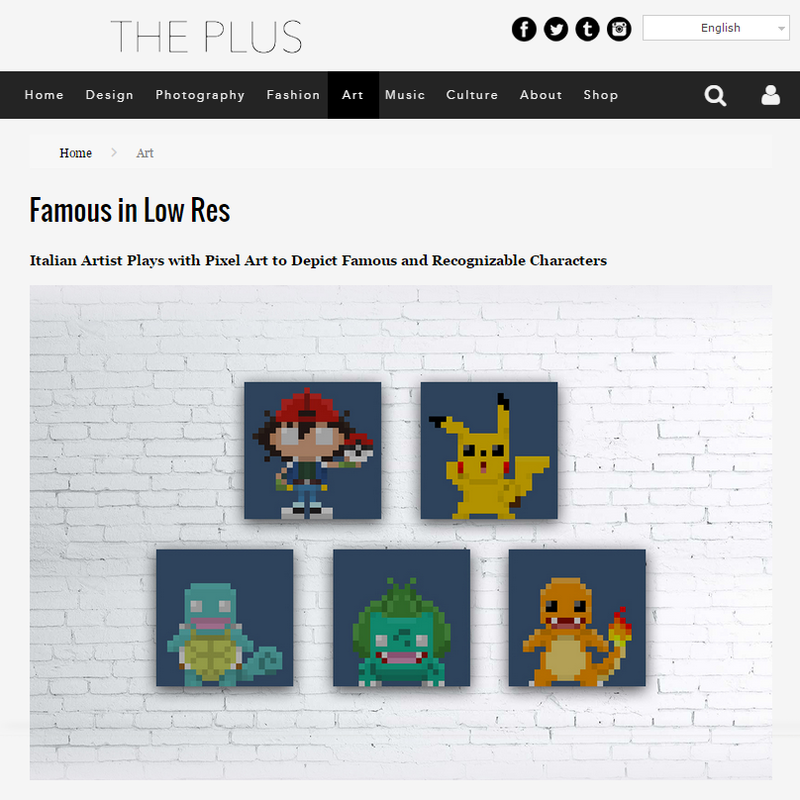 ‘I noticed that my daughters were not the only ones enjoying my drawings, so I thought I could post more on my Instagram feed: famous personalities, cartoons, made-up characters, all sharing the style I created.’ Saviantoni told us more about his signature art and series, Personaggi Famosi in Pixel Art. The Plus: Is there a special method to achieve the pixelated effect? Saviantoni Manolo: In Digital Graphics, there is no specific technique for making the pixel effect. The most difficult thing is putting the colored pixels one next to the other and giving them a shape, reproducing the character. TP: What is your creative process? SM: Once I get on the train, I just think of a character I would like to draw and start doing it using my smartphone. After that, I put it on Instagram. I enjoy doing it, it is an immediate creative process: I don’t have to think too much about it, I just follow my intuition. TP: Was there anything technically difficult to achieve? SM: There have been some more complex characters for which I needed more time due to the tiny dimensions of the grids, but I eventually managed to do it. I love challenging myself in new ways, especially when it’s about graphic arts, which I am very passionate about.